Abstract: Person following behaviour is an important task for social robots. For letting robots to follow a person, we have to track the target in real time without critical failures. There are many situations where the robot will potentially loose tracking in a dynamic environment, e.g. occlusion, illumination, pose-changes, etc. Often, people use a complex tracking algorithm to improve robustness. However, the trade-off is that their approaches may not able to run in real-time on modern robots. In this paper, we propose a modified tracking algorithm. We also build a challenging dataset for the task of person following which covers different situations like squatting, partial and complete occlusion of the target being tracked, people wearing similar clothes, walking facing the front and back side of the person to the robot and normal walking. Download links: dataset, paper, presentation. 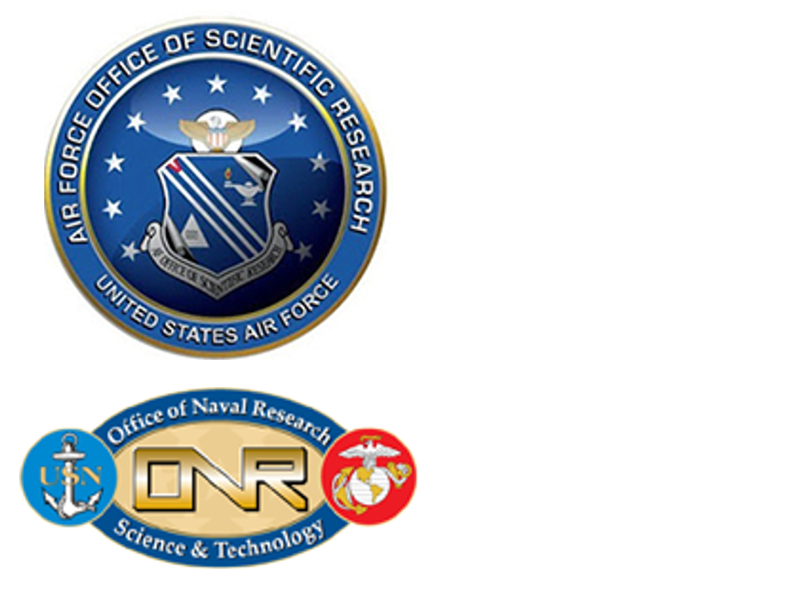 This paper won the Best Robotics Paper Award at AI-GI-CRV conference. 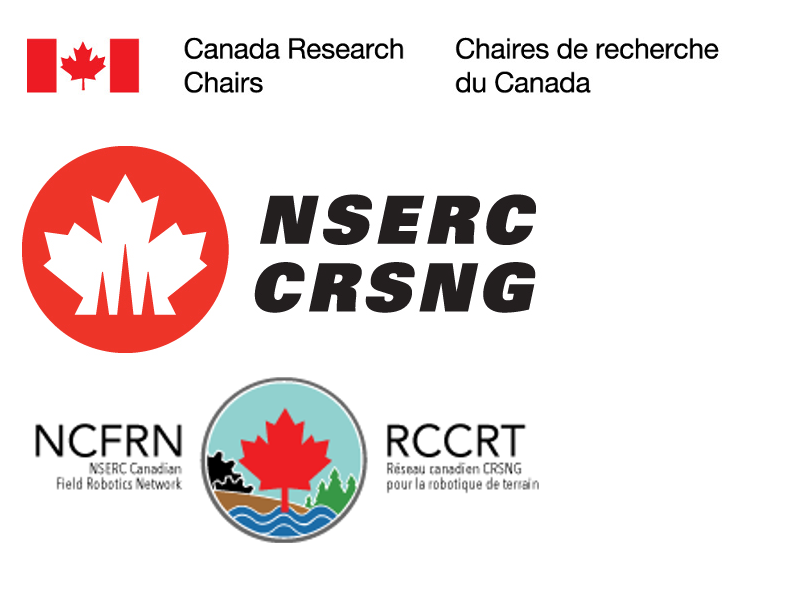 14th Conference on Computer and Robot Vision, Edmonton, May 17-19, 2017. 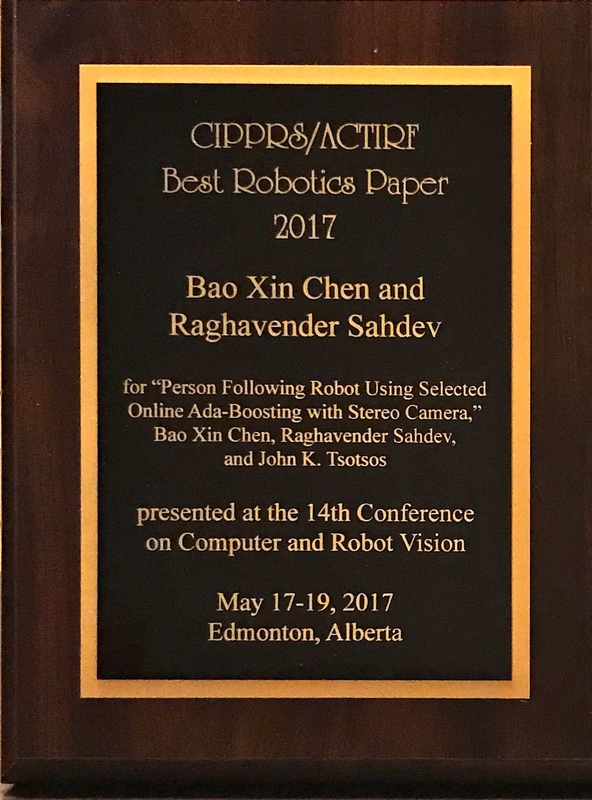 Person Following Robot Using Selected Ada-Boosting with a Stereo Camera, By Bao Xin Chen, Raghavender Sahdev and John K. Tsotsos, In the 14th Conference on Computer and Robot Vision, Edmonton, Alberta, May 16-19, 2017. Appearance changes and same clothes occlusions. The robot follows the correct person even when another person wearing the same clothes occludes the target being tracked. It also shows appearance changes – the target removes his jacket first and after some time wears the jacket. The robot follows the correct target the whole time. In a university hallway. The robot follows the person in a university hallway. The target is occluded by another person, shows picking up a bag and later removing the bag and continues to walk. Multiple crossings. A challenging sequence built to show the robot following the person with a lot of crossings having partial and complete occlusions. From a hallway into an elevator. The robot follows the person from a hallway into an elevator. The target is occluded by another human multiple times. Lecture hall. The robot is following a person from a corridor into a lecture, then the human sits on the chair and gets up, the target being tracked is also partially and completely occluded by another person. Hallway. The robot follows a person in a university hallway, the target picks up a bag then removes it and finally is seen to be duck walking. Do you know when the paper for this will be available? Also, will you publish any code? Thank you! Thank you for your interest in our work Paul! The paper was recently accepted at the 14th Conference on Computer and Robot Vision (May 16-19, 2017 in Edmonton), and the paper will be available immediately after the conference. We will keep you posted regarding the code! Thank you! I look forward to it! Is this paper available now? Thank you! You can let us know if you have any further question regarding the paper. Hello, will be the code available? Thank you. Hi Eric, thank you for your interest in our work! We do not currently have a release timeline, but we will let you know by early October. Hello, have you decided to make the code pubilc or not? Thank you!